"I love them. Better balance and support." Known as "MAGIC MAN". Rated the best jockey in the world. Hong Kong Champion Jockey smashing all riding records. EIGHT WINS AT KRANJI AND EIGHT WINS IN A DAY AT CIDADE JARDIM. Joao has ridden successfully in Australia, Britain, France, USA, Germany, Japan, Macau, Sweden and the UAE. "Love the irons, very comfortable to ride in I have them on all of my saddles. I also used them with the black strap and once you find a comfort zone you don't know it's there." "The STS irons are very good with great grip and foot support and very comfortable, and the safety strap is a very good idea!!! I have four pairs, and I have highly recommended them to other jockeys"
Champion French Jockey. Olivier Doleuze is a French born jockey and is considered to be one of the worlds premier jockeys. Olivier has ridden more than 1500 winners and over 500 in Hong Kong. "The STS irons are very comfortable and the grip is great. The extra foot support gives excellent balance. I have highly recommended them to other jockeys." Champion French Jockey. Rated as one of the world's best jockeys. Known as "Super Soumy" Christophe was named French Champion jockey six times riding an amazing 207 winners in one season. Winner of thousands of races and many group races around the world, Germany, UK, Ireland, Hong Kong, USA, UAE, Japan, Canada, Hungary, Italy and including two French Prix de l'Arc de Triumph's. "The STS irons are great and I find the grip is very good and they are comfortable and I would highly recommend them." Champion Irish Jockey. Pat Smullen has won the Ireland champion jockey title nine times. Pat has also ridden many group winners and ridden successfully internationally. "I wouldn't ride without them anymore to be honest with you. You just have such balance on them and you don't get tired due to the extended platform.. They're the best I've ever used!" USA Champion. Hall of Fame jockey 5,200 wins. Winner of the Belmont and Preakness stakes and Kentucky Derby on Giacomo at 100/1. Winner of 13 Breeders Cup and was the rider of Champion mare Zenyatta winner of 19 races in a row. "I love the STS irons the foot grip and the extended foot platform are excellent. The added support has been a great relief for my injured ankle and what I've noticed most is when the horse starts pulling I have more power through my legs. I have three pairs and I recommended all riders try them"
Singapore. Michael is a talented Australian jockey now riding on contract in Singapore. Michael has won the prestigious Melbourne Cup, Cox plate, Victoria Derby and winner of 40 Group 1 races and over 1,000 races. Michael won 3 apprentice premierships and is now winning major group races in Singapore. "The best iron I have ever used your feet do not slip coming out the gates or during the race and the extended and elevated platform gives you so much more support and balance. Once you have tried them you will never go back." International jockey. Winner of over 4,500 races and six jockeys' premierships in South Africa and five in Mauritius. Winner Qld 2015-2016 premiership riding 7 winners in one day. "The STS irons are a revolutionary and cool design. They have an extended and elevated platform which gives you so much more foot support and therefore balance and the tread is brilliant. I highly recommend them for all jockeys." Champion Australian Jockey. Shinn won the Melbourne Cup on Golden Slipper. Winner of the Victorian apprentices' premiership. Winner of the Sydney jockeys' premiership. Season 2015/2016 Blake Shinn rode 117 winners. "The STS irons are revolutionary and a major breakthrough. The tread is brilliant and the added support is amazing much more balance and support. I highly recommend them." International Jockey. QLD jockey premiership winner and rode successfully in Hong Kong, Singapore and Macau. "I fractured my foot in 7 places and had 4 plates inserted in my foot along with 14 screws and a pin. The STS irons have been a godsend due to the extended platform and foot support I have had no pain and I am back riding winners. They are the WORLDS BEST irons." South Africa Champion. Three-times East Cape champion jockey. Cheyne has ridden in Zimbabwe, Mauritius, Germany, Korea, Hong Kong, Singapore, Malaysia and Macau, winning the International Jockeys Challenge. "I have been race riding with the STS balancing irons for over a year now. They are amazing, I feel more balanced and comfortable more so than ever before - Simply the Best." South African champion. Winning over 1400 races and several premierships. June 2015 rode a record 42 winners in a month. November 2016 five Group one races in one month. Won the 2015 Hong Kong international Longines jockey challenge and represented the Rest of the World Team in the UK jockey challenge for 2 wins. "I bought three pairs and riding many winners with new STS irons, and it's unbelievable how comfortable they are... Last year I suffered an ankle fracture and broken ligaments. But, with STS irons, my ankle didn't suffer pressure like before and the balance it's totally different. I love them; they are amazing irons." Italy, Bahrain, Qatar... Alberto was champion Italian apprentice and has ridden many group races in various countries. In the winter Alberto rides overseas and is the 2016 leading rider in Bahrain and Qatar. Alberto has ridden winners in France, England, Germany, Austria, Belgium, Serbia, Poland, Hungary, Dubai and Kuwait. "STS irons are the future in horse racing for jockeys. The only stirrups I use now Brilliant product and I have been recommending them to other jockeys." Champion India Jockey. Patel was a champion apprentice and now recognised as one of the best jockeys in India. Winning major races including the Derby, Oaks, Breeders Millions and many more. "I had broke my ankle and it was painful to use other brands of race irons. Due to the STS irons design I don't get pain anymore because of the larger area of foot support they are great. Also the grip and comfort are excellent. Many jockeys in India are now using these irons." Champion India Jockey. Chouhan is in the elite club riding more than 1,000 winners 500 winners in three years and many major races. "Last season I injured my ankle. Using these new STS irons has greatly benefited me and improved my performance level greatly. I highly recommend them." Champion India Jockey. Has won many titles winning over 1,000 races including the prestige Derby, St Ledger, Pune Millions, Oaks and many more. 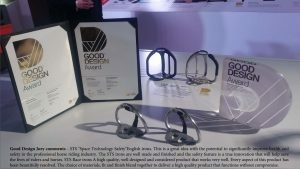 "I have won races using the STS irons and have found when jumping out of the stalls, I feel real safe and the grip is very useful when the horse is jumping out to the side. I feel a real support and balance for the foot when riding in the races, especially in the finish. They are great, and I have recommended them to other jockeys." Sweden Jockey. Josephine has ridden in many countries and won the 2015 world cup championship. "I am a Swedish jockey, who rides in Scandinavia and Northern Europe. The STS irons are excellent the best stirrup iron I have used far more grip support and balance, I love them and recommend them." Want more information or ordering details?